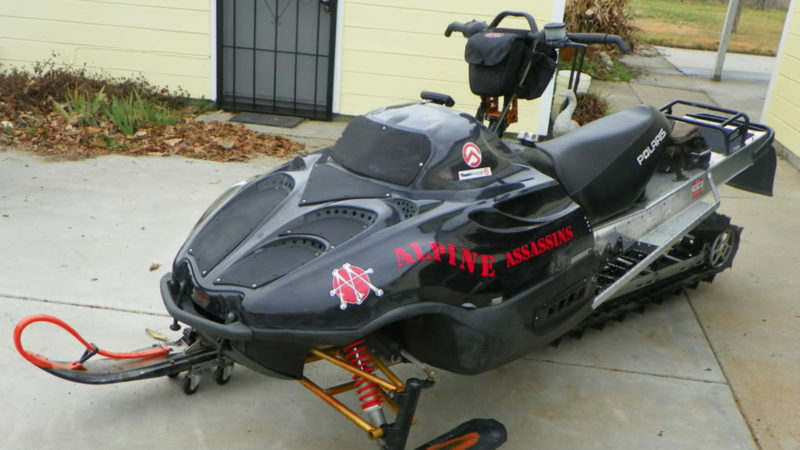 I wanted a nice looking sled I would be noticed on, as I couldn’t afford the newer, nicer machines others were riding. And I wanted it to perform as s mtn. 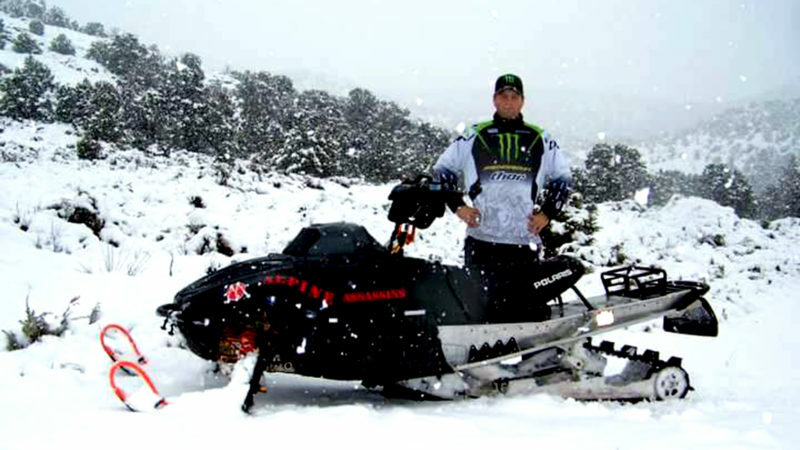 sled. I had a stock 900 Cat that smashed a tree on a downhill ghost ride. Basically totaled. 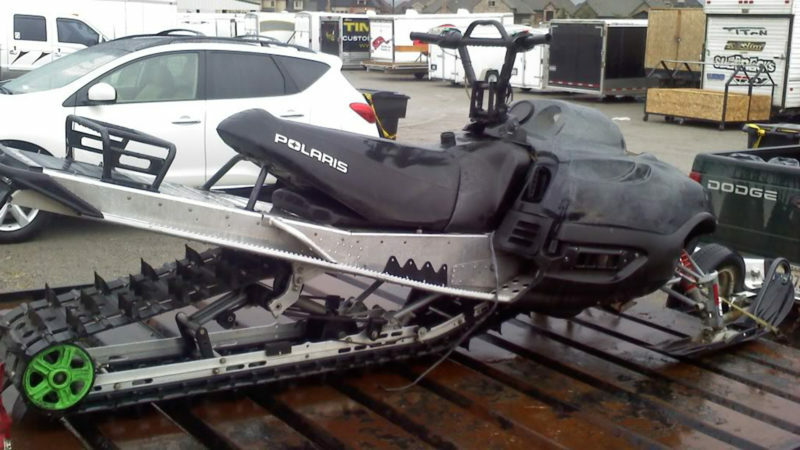 I found a chassis to buy that had some mods on it…but it was pretty beat up. 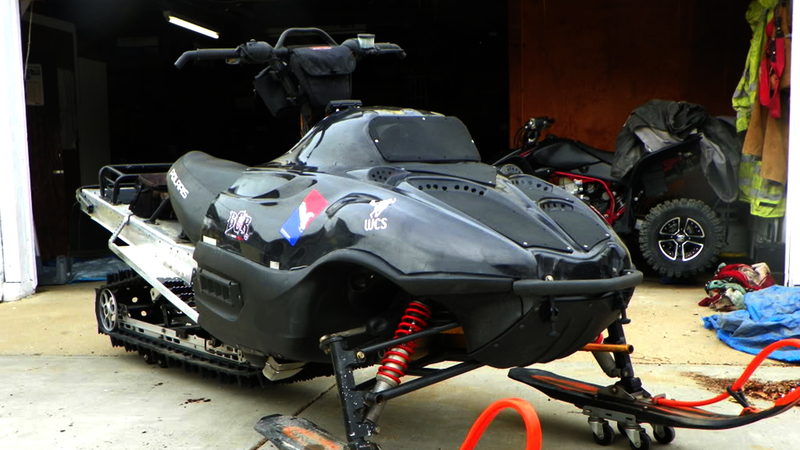 I decided I wanted to rebuild the sled nice instead of just dropping my motor in it. I wanted to upgrade the chassis for mtn. riding…..and that led to the build and modifications, which were all on a budget. The Polaris IQ seat and fuel tank. The M-Series running board edges and tunnel braces with tunnel trim. The fact I made it all work out of my imagination without any input or tips on how to do it. 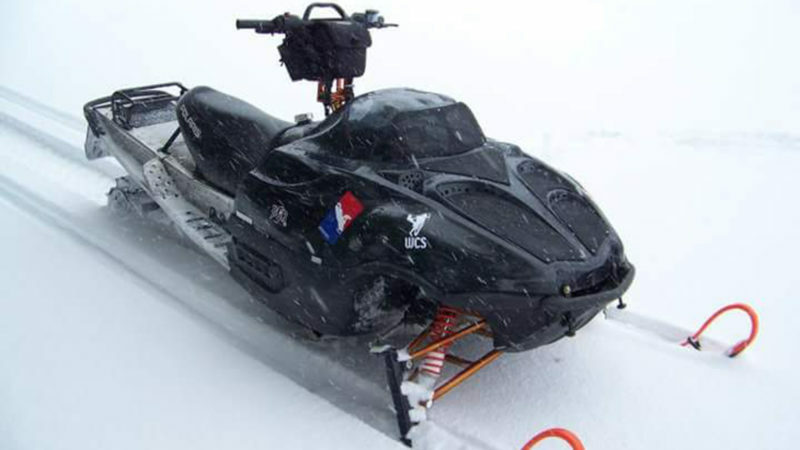 I built the sled at a time I was living in an RV park in my camp trailer. It was built in as storage shed at a storage facility which was against rules, Haha. Everything from cutting and fabricating metal to seed spray painting was done inside a 12’×20′ container! The first 2 votes were made as “awful”? Would love to see comments explaining your votes? 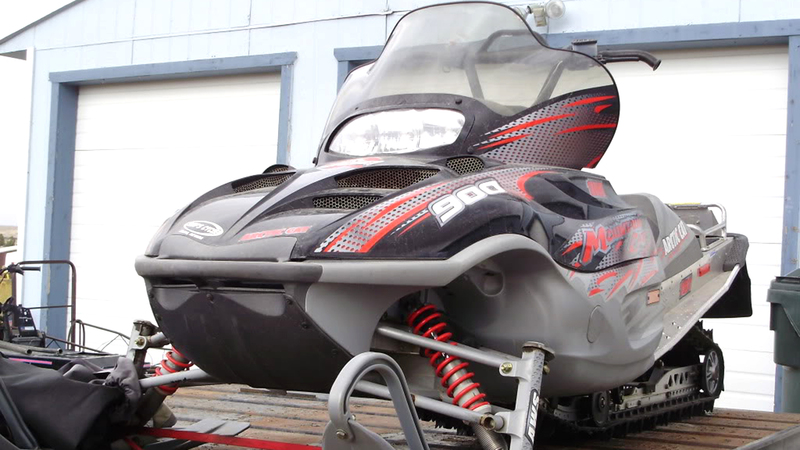 I’ve only ever gotten positive reviews for how this sled turned out after a stock chassis that was basically totaled….